Kansas City, Mo. — For the second-straight week, Missouri Southern women’s pole vaulter Emily Presley has been named the MIAA Women’s Field Athlete of the Week, the league announced today. Presley, a native of St. Clair, earns her second weekly honor from the MIAA this season. 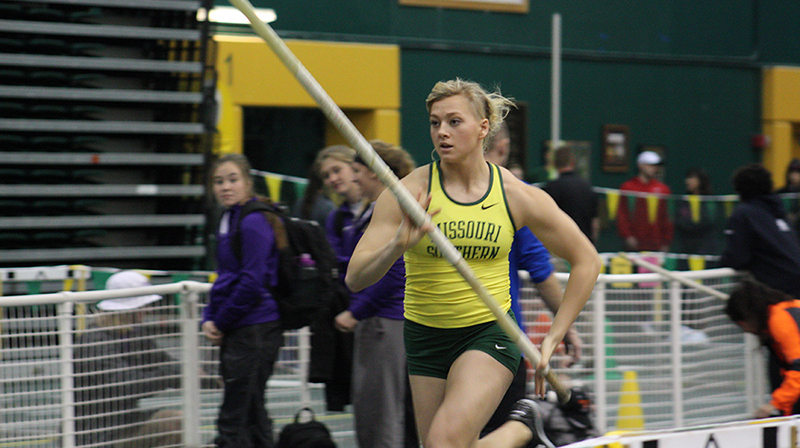 For the third-straight meet, Presley won the pole vault and for the second-straight week, she set a new MSSU record with an NCAA Automatic Qualifying mark in the process. Presley won the pole vault at Pitt State this weekend with a vault of 14-00.00. That mark is tops in Division II by more than ten inches and tops in the MIAA by more than 13 inches. The mark is also the seventh-best vault by a collegiate woman this season, regardless of division. Presley and the Lions will be back in action this Friday at Central Missouri taking part in the Mule Relays.